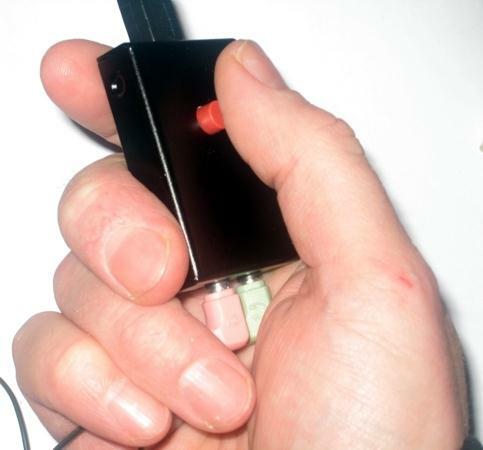 RRC-Micro makes your remote control portable. RCC-Micro is primarly a complement to make the system more portable as it can be used from a Laptop without any other hardware that the PTT-box (pict above). The software licence and the RRC-Micro License Dongle/PTT box are sold together. 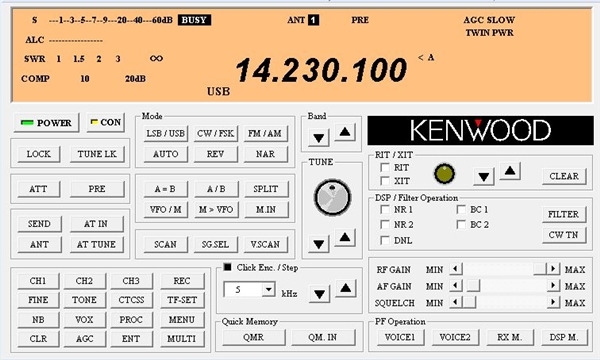 The Software do not include any Radio control software but it works together with Ham Radio De Luxe, TRX-manager, ICOM RS-BA1,Yeasu PC-XXXX, Kenwood ARCP-480 etc. 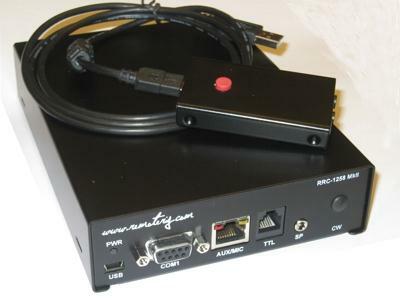 The RRC-Micro License Dongle/PTT box 1274B handling the PTT function (now with a external PTT input) and working as a licence key to enable the software functions. Any standard mic and speaker/headset that can be connected to the PC and has Windows support can be used for the audio. The RRC-Micro dongle has no built in support for audio any more (as version 1274A had). For the moment audio quality 0 (8kHz Alaw) is automatically selected when using the PC-Client. The RRC-Micro PC-Client now also support keyboard-CW. Note! The RRC-Micro software is designed and tested on PC plattforms with Windows .7.8 and 10 OS. It’s not designed for or tested on any Mac configuration. For prices check our Webshop or your nearest distributor. 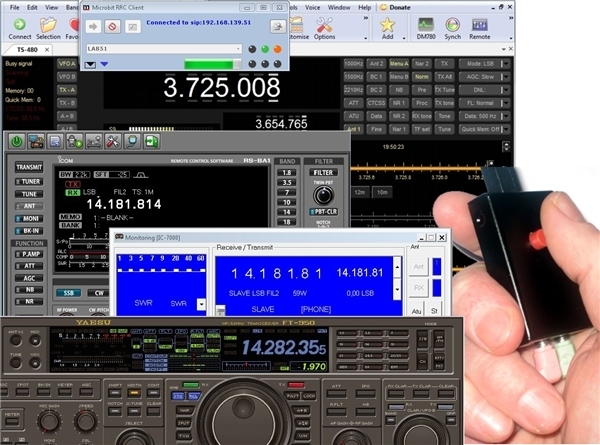 As a complement to the hardware based Remoterig system there is also a PC-based client software which can be used instead of the RRC-1258 at the control side. This is convenient for those who for example travel and want to remote control the radio from a laptop from many different places. If you use your system in a permanent setup we recommend you to use the standard box to box system as it is more flexible. 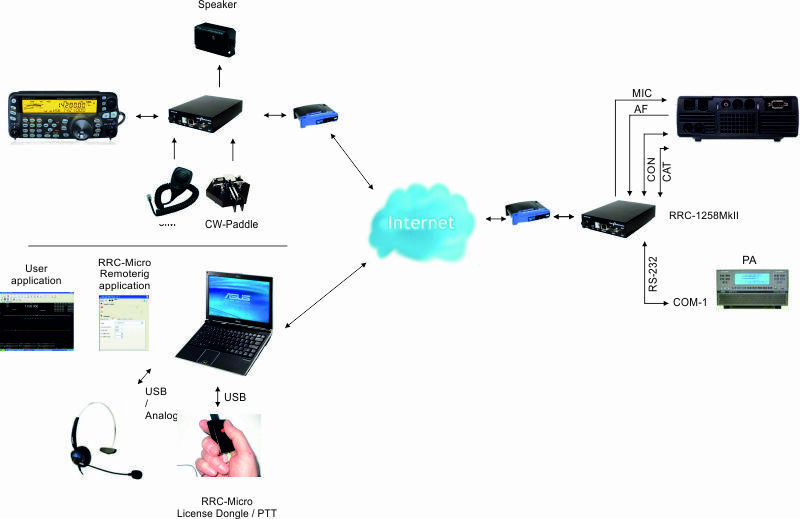 When using the RRC-Micro the only hardware needed at control side besides the PC is the RRC-Micro USB Dongle/PTT box which is supplied and a headset connected to the PC. You must also have a control software eg. HamRadioDeLuxe to control the radio. 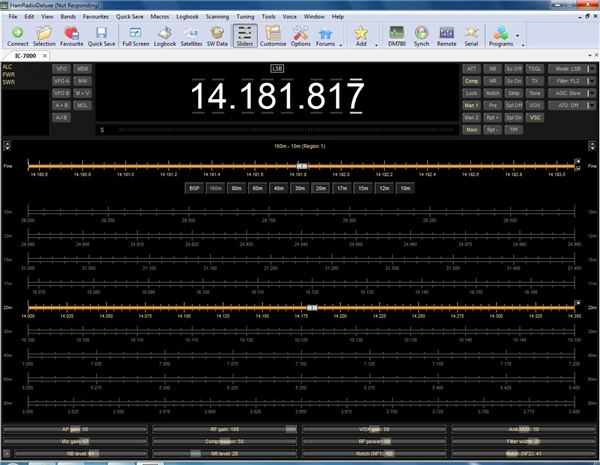 The Remoterig PC-client handles the audio and data transfers between the PC and the RRC-1258MkII at the radio QTH. When installed the PC-Client presents 3 virtual comports which can all be used in the same way as in the hardware based system. 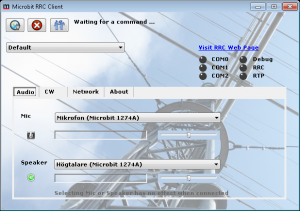 The RRC-Micro and the PC-Client now also support Keyboard-CW. You can download and install the software, before you order. 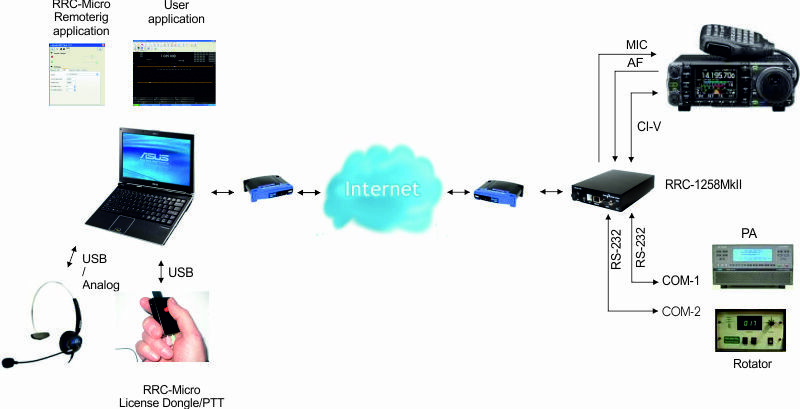 Everything works but it’s not possible to connect to the remote RRC until you have the RRC-Micro USB Dongle/ PTT box. 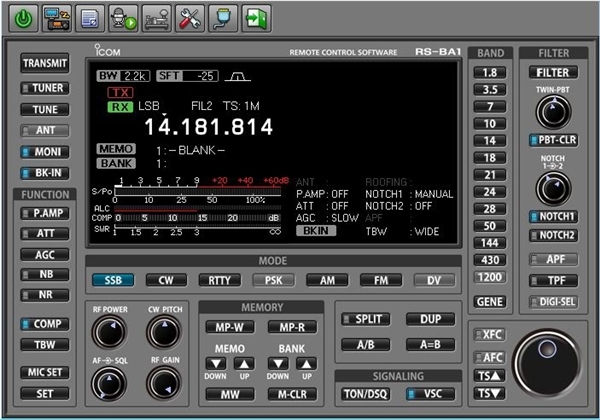 It you use one of the system with separated control panel like IC-7100, TS-480, TS-2000, Elecraft-Twin, Yaesu-Twin you can swap between using the control panel or the RRC-Micro without making any changes in the Radio-RRC setup. The Radio-RRC will change codec and protocol settings automatically. For people who do not already have a Remoterig system there is a package with a RRC-Micro Dongle/PTT box and a RRC-1258MkII Radio Box. but it will probably work with other softwares also which are using a serial port.